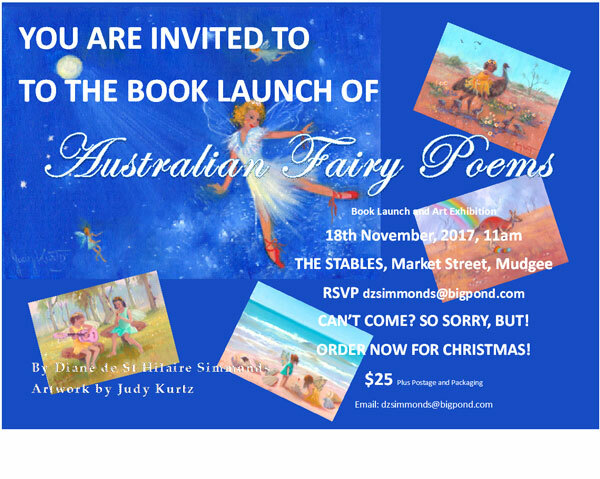 You are invited to the booklaunch for Diane's new book for children, Australian Fairy Poems, with beautiful artwork by Mudgee artist Judy Kurtz, to be launched November 18, 11am at The Stables, Market Street (beside the Tourist Office) Mudgee. Please let Diane know if you and your children would like to attend. Do you know the Morgan/Noon family of Windeyer? Click here and scroll down to Morgan. ters to and from the goldfields. Historical writers may not be aware that the Australian book industry is under threat. The Productivity Commission has proposed a number of changes to copyright that will result in fewer Australian publishers, booksellers and authors. We need to make our voices heard. If you enjoy writing and recording history, and if you value Australian stories, visit www.bookscreateaustralia.com.au and sign the petition. THE ORIGINS OF THE TOWN - KANDOS. Was Kandos named after the directors of the new cement mine? Richard Lewis was transported to Sydney in 1802. As a free man, he had a major part in building the road over the Blue Mountains and in settling Bathurst and worked closely with Cox and Evans. He is believed to have named Mudgee, and also to have married Mary Anne Roberts, who was born in Sydney, but has no birth certificate, only a baptism certificate that states her parents were unknown and is believed to be an Aboriginal woman. 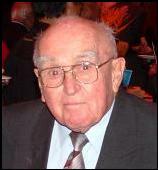 Lewis was a friend of the Aboriginal people. photos as discussed,originals,I have had in my possession for around 55 years. Purchased at an auction in Richmond Vic GRAINGERS AUCTIONS, regards PETER MATLOCK. Do you know something about this J McCormack Cup given to Kandos Football Clubin the early 20th century? Sofala (we think around 1936) of my grandparents and mother, this was outside of their farmhouse which was on the Turon River and opposite to a Chinese graveyard we think? The farm was owned by Roy’s mother, my great Grandmother, it was described as a small mud walled dwelling. Mudgee Hospital Auxiliary History - Members looking for old photos and stories from family members of women who have served on the Mudgee Hospital Auxiliary. 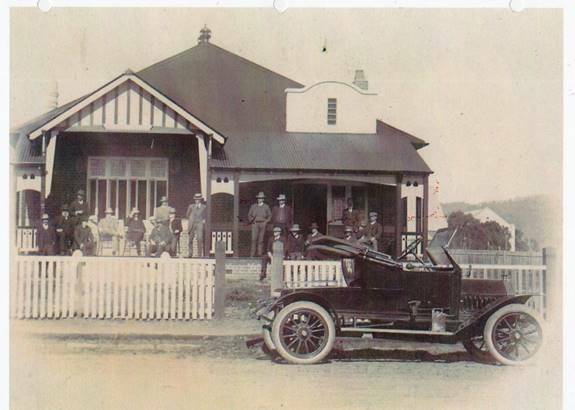 Did you know that hospitals in Mudgee have had a ladies auxiliary for 90 years? Does anyone know the O'Brien/Madden family history? Part of the Sydney Royal Easter Show Harness horse competitions for 41 years. Have you ever regretted the passing of a friend, or loved one; a master craftsman of a trade that is fading from our midst? Have you ever wished you knew how to re-create those romantic, bygone treasures that are part of our history and part of our lives? Have you ever kicked yourself for not seeking such information before our most respected craftsmen and women are gone forever? The late Ken Simmonds was born into the horse and buggy era. His father was a Bankstown milk man, using a horse and milk cart. Here Ken’s story began. Ken’s passion, showing his beautifully restored harness vehicles at the Sydney Royal Show and country shows shines in this book, methodically recording measurements and knowhow to help the show ring remain authentic. There are many in show rings today still driving Ken’s beautiful and meticulously restored vehicles. The knowledge recorded in this booklet is precious. The photos are of Kandos at the turn of the century. Photographs sent in by Chris Turner of Western Australia, who moved there in 2011. Dear Parents...I am very sorry to inform you my little son is dead, but I thank God my wife and I are quite well. I have moved from Cooyal. I had very bad luck there. Mt Frome is about 4klms south east of Mudgee township. It was named after a shepherd, Tom Frome, who got lost in the then thickly wooded mountain. He was thought to have died there, but during a Memorial Service held in his honour, he turned up, very much alive. 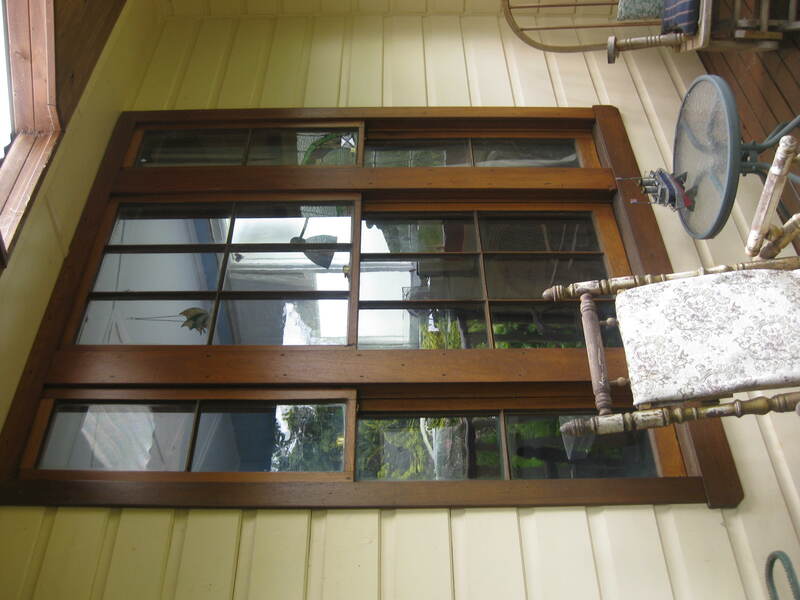 ..
Did you know Mudgee pioneered solar and wind natural, renewable energy? Meet the Simmonds family, pioneers of the new energy source who were responsible for hundreds of Mudgee families on small farms using solar and wind electricity to run their homes in the early 1980s. Response from reader identifying the machinery in the collection. In the exciting days of the Gold Rush, Australia certainly became multi-cultural. And one of the biggest cultural groups to make a significant contribution to the pioneers' life was the Chinese. Barbara Hickson speaks of their presence in Gulgong. 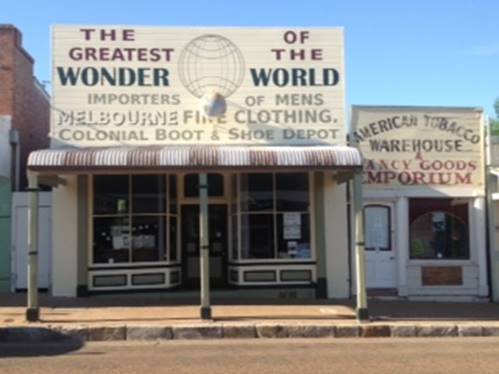 In Part 2 of Tracking the Dragon Barbara tells us about the site of the capture of Chinese bushranger Sam Poo; the Chinese store at Cassilis and Winn's Market Garden, Gulgong. Diane Simmonds contributes to the collection of Chinese history in the Mudgee region with a history of the Chinese people in Sofala during the gold rush. The editor of this site, Diane Simmonds, featured in the solo exhibition of Photomedia artist Holly Grech on Friday, 26th September at the Umbrella Studio of Contemporary Arts in Townsville. A new book, Portrait of Mudgee and District by Judy Kurtz, with historical notes by Diane de St Hilaire Simmonds. A quality coffee table book of 30 colour prints and 6 sepia drawings by renown artist, Judy Kurtz, with historical notes by Diane de St Hilaire Simmonds, all of the Mudgee region, Gulgong, Rylstone, Kandos, Goolma, Wollar, Capertee, Hill End, Hargraves and more. Price: $39.95 plus postage and handling. Ancestry.com now has the NSW Census for 1891 and 1901, which lists people as Aboriginal. - A Shared Sorry - The Sharing of Love - The Sharing of History "Winbourne" Mulgoa, West of Parramatta, NSW, "Burrundulla", "Menah" Stations, Mudgee and "Fernside" and "Rawdon" Homesteads, Rylstone, Central Western NSW; John Johnson, Eliza Forster, the Cox Family, the Mulgoa Clan of the Darug people & the Wiradjuri Nation. Historical collector, Peter Simmonds' historic newspaper clipping collection. 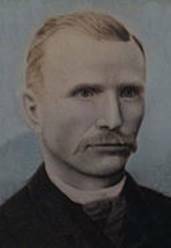 The story of William Oxley, Police Constable in Mudgee, and his murder. Patrick Malony, John Cain, and Thomas Odin, were indicted for stealing two saddles, two bridles, 17 California belts, and a quantity of other property belonging to Robert Fitzgerald, Ësq , M.C , at Reedy Creek, in April. 1852. Learn about local prisoner of war camps and how Mosquito bombers were made from local timber that also supplied Slazenger tennis raquets.Kandos. Also how rice pudding challenged the war effort. It was fine then till Saturday night and we had it (heavy rain) again. We slept under the dray and water was running under us and over us. A letter home to England of a woman's incredible journey to the goldfields at Maitland Bar. 80 year old, Norah Kendall has collected the Cresp family photos together and shares some photos of a winnower from the old family farm at Boinka, Victoria. You could pass the historical gems of Appletree Flat in a moment on a drive from Mudgee to Sydney, unaware of what you are driving through. Take the time to drive there and really look at the surrounding scenery and hear its historical ghosts talking to you. Cooyal's own lady bushranger, Mary Ann Bugg and her Captain Thunderbolt. The romantic story of an educated Aboriginal woman, Mary Ann Bugg, the wife of well known bushranger, Captain Thunderbolt, Fred Ward. Read about this incredible woman and her infamous legendary husband. It is said Captain Thunderbolt would never have survived without the 'power behind the throne', Mary Ann Bugg. 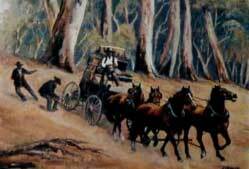 More about bushrangers, cattle duffers and stagecoach holdups in the Mudgee region. 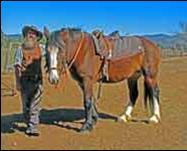 Don takes us by horseback from Nullo Mountain to Mount Pomany to see the remains of an old bushranger's cave. We are of one spirit poems of reconciliation written by Diane de St Hilaire Simmonds. The editor of this site is seeking to add a new section on Aboriginal family history for in the Mudgee region to help families find their relatives. If you have some information, no matter how small, please send it in to this site on info@mudgeehistory.com.au and we will see if we can provide the links to help find our Aboriginal heritage. Also in this section, we have new information on Diana Mudgee. This article is submitted to us by Mickel Cowie. Mickel went to primary school at Charbon in 1939-42 and has since been a regular visitor since then to Rylstone; Kandos & Dunns Swamp and maintained contact with friends in the area and keenly interested in the history of the area. He is of Aboriginal descent through his maternal Madge Green (Lambert) line and the GGG Grandson of Peggy Lambert. Also posted on this site: Information regarding the descendants of the Green Family and the descendants of Peggy and Jim Lambert has been posted on this section. A new section for readers to help each other search out family history and other historical matters, and for researchers to add their findings. Pearson's Lookout - was it named after a cyclist? More on the Mawbey family and Jimmy Governor. Henry Lawson's poems about the Mudgee region, plus Diane de St Hilaire Simmonds' local poems, plus poems by readers.Henry Lawson Poetry about the Mudgee District. Frank the Poet, or Francis MacNamara. 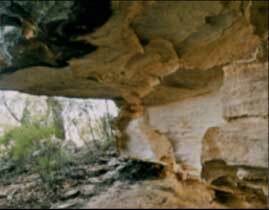 There were two aboriginal tribes in the Triamble, Macquarie River region. The Aboriginal name for the Macquarie River was Wambool, meaning ‘meandering’. The tribe Thomas Charles Codogan Sutter first encountered in early 1830 was the Waradgerie tribe, and no instances were ever recorded of them attacking the early white settlers. Can a button challenge Blackman's discovery of Mudgee? Wal Ellison and his wife discovered an old soldier's button while metal detecting south of Mudgee along the Cudgegong River. He has done some research, and believes the button was lost by the original owner, who was a soldier of the 73rd Regiment on Foot, who were in the colony between 1810 and 1814, working from Newcastle. Mr Ellison thinks the find might just challenge traditional records that Blackman was the discoverer of Mudgee. Read the account and make a comment. A few miles north of Rylstone, the Great Dividing Range swings eastward, enclosing the fertile, almost treeless flats of the Cudgegong River. Where these flats give way to the rugged mountain country surrounding Nullo Mountain, in the small valleys that lie beneath Mount Never Never and Mount Kelgoola, many early settlers made their homes. 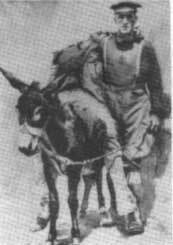 On the Mudgee, Eurunderee, Home Rule and Gulgong run, Cobb & Co were allowed 120 pounds per annum extra to convey the mails on from Gulgong to Mudgee immediately after they arrived at Gulgong, by a buggy or other light vehicle. This run was transferred from John Randell in 1883 to Cobb & Co.
Everyone in the Mudgee district would agree Don Hobbs is slightly eccentric, but they would also agree that he has a heart of gold and is there to help any community event he can. The history of the Mudgee region is being transformed by the age of information technology. Our history is to be online on a web site created by Diane Simmonds. I have been researching and writing a column about local history for over twenty years for the Mudgee Guardian. Once read, it disappears into archival catacombs. That is about to change and local history will be available at the flick of a switch. The technique is not new but this method of recording allows the surfer of the net to have information available 24 hours a day. That is new-- and I am pleased to be associated with the project. I hope the community will also readily adopt this revolutionary approach of “history at your fingertips” and its easy accessibility for everyone—young and old. Better still the web site is open for contributions. So I would urge would be historians to remember--what happens today is tomorrow’s history and needs to be recorded as it occurs. Mudgee has needed this web site for a long time. It is with considerable pleasure and gratification I launch the website into space for all to enjoy. Mudgee District Local History is a service that tells the story of the second region settled west of the Blue Mountains, a district with a fine tradition of heritage that is preserved and valued. Mudgee is the Orana district, meaning welcome; the name Mudgee meaning ‘nest in the hills’ according to local Wiradjuri Aboriginal tradition. The region covered in this history includes Gulgong, Rylstone, Kandos, Cassilis, Ulan, Lue, Hargraves, Grattai, Windeyer, Wollar, the Turon, Bylong, Capertee, Hill End, Ilford and Sofala. The region snuggles in the foothills and tablelands of the Blue Mountains, the rolling hills and mountain peaks preserving the secrets of yesteryear — and the district is rich in a heritage of the Wiradjuri nation, gold mining, Australian wool production, cattle and horse breeding and more recently fine wines, honey, olives and fine food, art and culture. Information about these genres and more will be added to the site as it grows. The Mudgee region still retains many of its original villages, steeped in family traditions and local character. The villages are made up of generational families and newcomers, the first influx in the 1970s and 1980s of alternative lifestylers, or ’blockies’; the more recent semi-retired tree changers, but all bringing a multitude of art, craft, and entrepreneur skills, giving life and colour to the image of who and what we are as a community. This site is copyright, except for personal research that is not to be published. Please enquire if you want to use large portions of the site. Your enquiry is welcome. Cobb & Co and the Gold Rush, bushrangers. 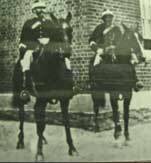 Bushrangers, Rylstone, Home Rule, Denison Town. Cob & Co, Cooyal, bushrangers..
Cobb & Co Mail Routes in the Mudgee region. Kandos High School Year 9 Their Service, Our Heritage World War I and World War II project. Whose side was God on? This website invites your participation. For more information on the co-ordinator, please click here. To financially support this site, or advertise on it, please email the administrator by clicking info@mudgeehistory.com.au. An ad in the margin is just $10 per month on a 12 month contract. Major sponsors get a whole page to themselves plus banner ads sprinkled through the site. Major sponsors take turns to feature on the Home Page and Content Page. Would like be a sponsor on this site?